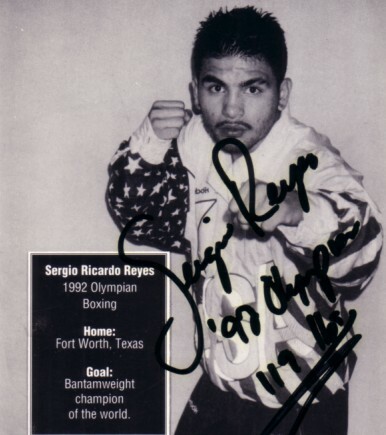 4 by 4 1/2 inch promotional photo card autographed by Sergio Reyes, a member of the 1992 U.S. Olympic boxing team. With certificate of authenticity from AutographsForSale.com. ONLY 2 AVAILABLE FOR SALE.